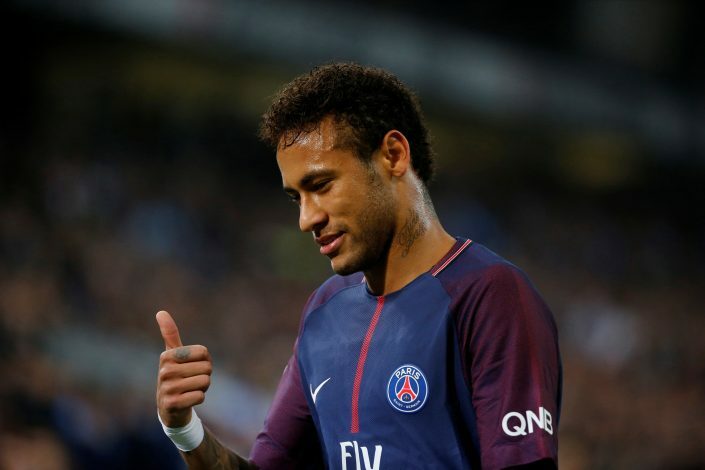 In today’s transfer round-up, the pick of the lot has to be Paris Saint-Germain star Neymar’s potential move to Premier League giants Manchester United. Source of the report, Diario Gol, has claimed that the Red Devils are set to break the world transfer record yet again by splurging £261 million for the Brazilian ace as well as offering him £30 million in annual salary. Real Madrid are also reported to be interested in Neymar’s signature, and considering their stature, they too, can easily shell-out the colossal amount. But what gives United the upper hand is the fact that they are said to be willing to add France international, Paul Pogba, to the world-record deal. Jose Mourinho is determined to revamp his defensive back-line, and one of the names set to be axed by the Special One is Italy international, Matteo Darmian. However, for Darmian, that only means a host of clubs would now be engaged in a battle to sign him, and according to Goal, Arsenal and Juventus have reportedly emerged as the top contenders to land the 28-year-old. The Gunners are preparing to replace outbound Hector Bellerin, whilst Juve, who had Bellerin on their wishlist, have shifted their focus from the Arsenal right-back to Darmian, as Massimiliano Allegri is ‘confident of signing’ the Italian. Malcom has been pretty much linked with almost every single ‘big’ club over the past couple of months, with Tottenham Hotspur now being the latest one to be associated with the young Bordeaux starlet. As per Mirror, the 21-year-old is yearning to earn an international call-up, and thus, wants a move away from the Ligue 1 side. Spurs had made a bid in January to land the forward, but weren’t able to seal the deal. However, with Malcom taking English lessons, the North London club has been handed a major boost to once again chase the highly-rated Brazilian. The latest star out of the plethora of midfielders to be linked with Liverpool over the past few months is Schalke’s Maximilian Meyer. Jurgen Klopp is eager to build a world-class midfield, and Mirror claims that recent developments in Germany have ‘buoyed’ the Reds’ boss. The report stated that Meyer’s agent cancelled a meeting with the club to discuss a new deal, and with the German star’s contract set to expire this summer, Liverpool could possibly land Meyer for free. In yet another transfer story surrounding the Lilywhites, their manager, Mauricio Pochettino, has expressed an interest in signing West Bromwich Albion defender Jonny Evans. The Telegraph reports that Spurs have been keeping tabs on the ex-Manchester United man, and with Toby Alderweireld mooted to make a move away from Tottenham come the summer transfer window, Evans could join the North Londoners for just £3 million if the Baggies get relegated this season. However, the likes of Manchester City and Arsenal are also closely monitoring the Englishman, and could join the race if and when Albion do drop into the Championship.